We can dig foundations, demo and fill pools. Any type of grading for your yard, lawns, or areas to fill in to bring your up your grade. We can grub out your stumps, move rocks, and duff to reclaim your wooded areas and make a beautiful lawn. If you need a Rockland County NY landscape excavation and grading specialist, call us at (845) 627-2555 for a free estimate or contact us through our inquiry form. 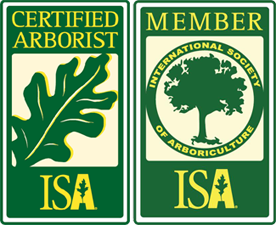 In addition to Rockland County, D&D Tree and Landscaping serves lower NY state in Westchester County and Orange County. 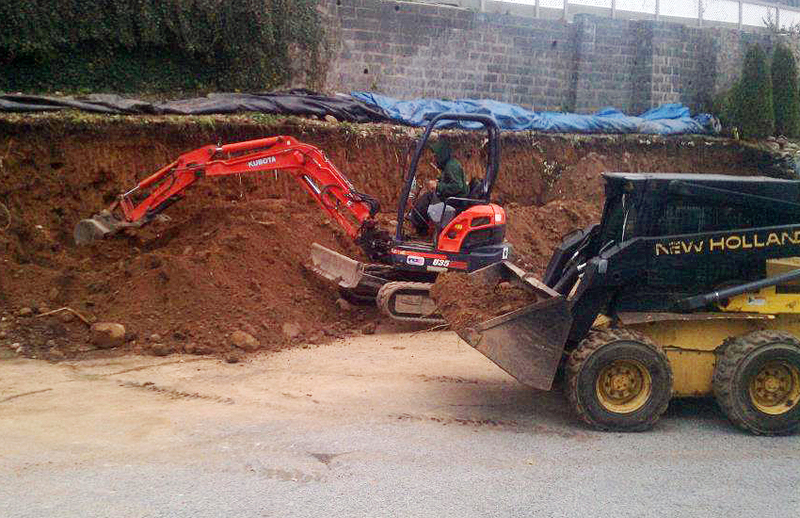 Looking for a reliable and experienced NJ excavation and grading company? D&D also serves northern NJ in Bergen County and Passaic County. 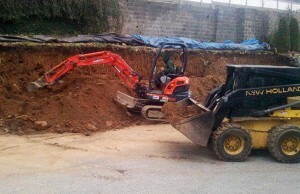 D&D does both commercial and residential landscape grading and excavation projects.